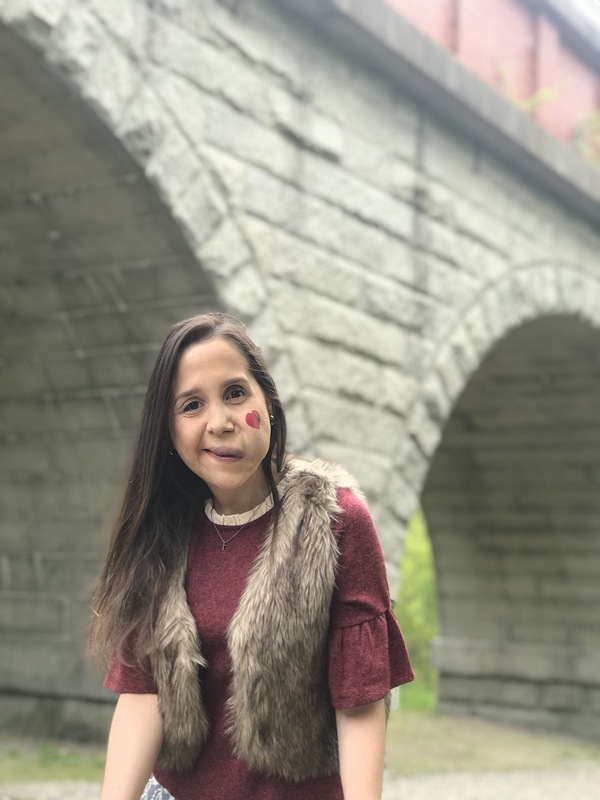 I was born in Venezuela, I was diagnosed with a hemangioma and was told we should wait until I turned 7 years old because it was supposed to disappear. However, that never happened. So I began treatment very late, and due to inexperienced doctors I almost lost my life when I was 7 years old. After this experience, doctors recommended that my parents to take me out of the country and see vascular anomalies specialists, so we came to Boston. It has been a long process with lots of procedures, but God has been great, and this experience has made me strong. Otherwise, I am a grateful women, I’m a violinist, I speak Spanish, English, Portugués, as well as sign language. I went to Med School for 4 years in my country, I didn’t finish because I move to the US, but at some point I would love to continue studying.